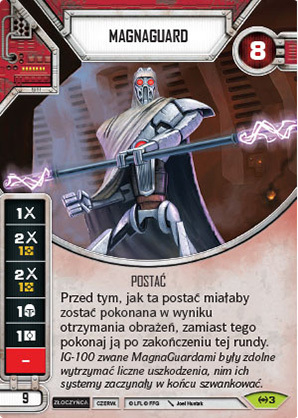 Postać - Droid - Guard. Punkty: 9. Wytrzymałość: 8. Before this character would be defeated by damage, instead defeat it after this round ends. The IG-100 MagnaGuard droid could withstand massive damage before total system failure.